During this one week course, students will learn about Human-Computer Interaction (HCI) by conducting short hands-on eye-tracking experiments. HCI is a Computer Science discipline focused on studying human factors in computing. Eye trackers are devices that unobtrusively allow recording of how we devote visual attention to the world around us. By capturing eye gaze when we look at computer screens, web pages, smartphones, airplane cockpits, ATC screens, etc., we gain insight into how we visually work with these interfaces. After a brief review of eye-tracking applications in Psychology, Marketing, Packaging Science, Industrial Engineering, as well as Computer Science, students will focus on designing and executing short eye-tracking experiments. The course will be conducted at Clemson's eye tracker classroom housing 20 trackers from Gazepoint. Organized into small teams, students will participate in and conduct basic experiments leading to final team presentations of their results and experiences. With the help of graduate students Ms. Nina Gehrer from Germany and Ms. Justyna Żurawska from Poland, we will provide examples of a gaze analytics pipeline developed by Prof. Duchowski. The pipeline consists of Python scripts for extraction of raw eye movement data, analysis and detection of fixations and saccades, collation of events for statistical evaluation, and analysis and visualization of results using R.
We will demonstrate analysis of gaze data collected from the experiments run by students. We will look at basic eye movement visualization and analytics, e.g., fixation count and dwell time within Areas Of Interest (AOIs), as well as advanced analysis using gaze transition entropy. This course is offered in session five (July 7-13). Dr. Duchowski is a professor of Computer Science at Clemson University. He received his baccalaureate (1990) from Simon Fraser University, Burnaby, Canada, and doctorate (1997) from Texas A&M University, College Station, TX, both in Computer Science. 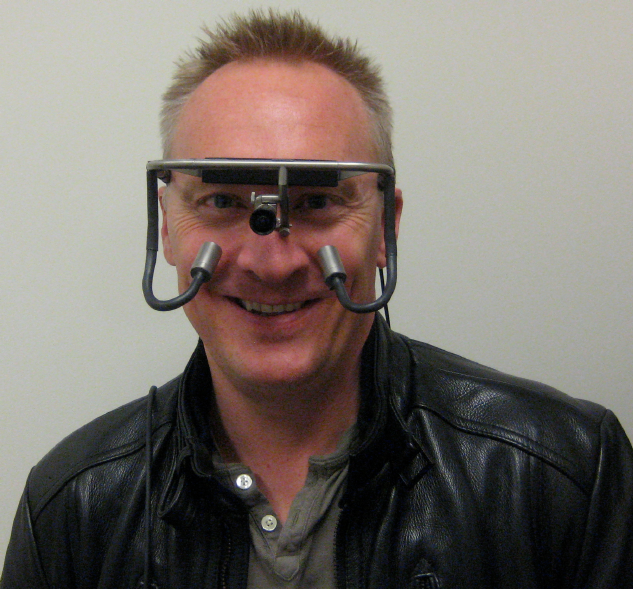 His research and teaching interests include visual attention and perception, eye tracking, computer vision, and computer graphics. He is a noted research leader in the field of eye tracking, having produced a corpus of papers and a monograph related to eye tracking research, and has delivered courses and seminars on the subject at international conferences. He maintains the eyeCU, Clemson's eye tracking laboratory, and teaches a regular course on eye tracking methodology attracting students from a variety of disciplines across campus. Nina Gehrer is a clinical psychologist who is currently working on her PhD thesis at the University of Tübingen, Germany, since she received her master's degree in 2015. Her main research interest lies in studying face and emotion processing using eye tracking and a preferably wide range of analytic methods. As a clinical psychologist, she is particularly interested in possible alterations related to psychological disorders that could underlie associated deficits in social information processing. She began working with Prof. Duchowski in 2016. Since then, they have enhanced and implemented his gaze analytics pipeline in the analysis of several eye tracking studies involving face and emotion processing. Justyna Żurawska is a neuro-cognitive psychologist and PhD student at SWPS University in Warsaw. She also holds a BA in Management from University of Warsaw. Prior to joining the doctoral program, she worked as account executive at Eyetracking Solutions, the official Polish agent for Tobii Pro, a global leader in eye tracking technology for academic and commercial research. She has a background in eye tracking technology and research methodologies for business consultancies. Justyna’s academic research interests focus on psychophysiological correlates of the decision-making process and factors that modulate it. She started collaboration with Prof. Duchowski in 2017. As a result, they investigated the use of microsaccades (micro eye movements) to estimate the cognitive load of a visual search task.